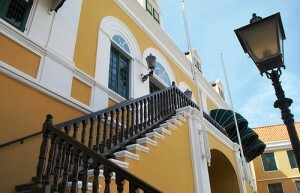 WILLEMSTAD - On Tuesday, February 6, Mr. Michael Willem MBA was sworn in as a member of the Advisory Board. He has taken his oath before the Governor of Curaçao, Her Excellency Lucille George Wout. Mr. Willem has held various positions in the public and private sectors. He was, for example, two years Minister of Labor and Social Affairs of the Netherlands Antilles and three years commissioner of the former island territory of Curaçao. He has also worked at SHELL / Refineria Isla, KODELA and Curaçao Tourism Development Board (CTDB). With the appointment of Mr. Willem, the Advisory Board has eight members. The Council hopes to fill in the existing vacancy for a lawyer as soon as possible so that it can carry out its duties as well as possible.